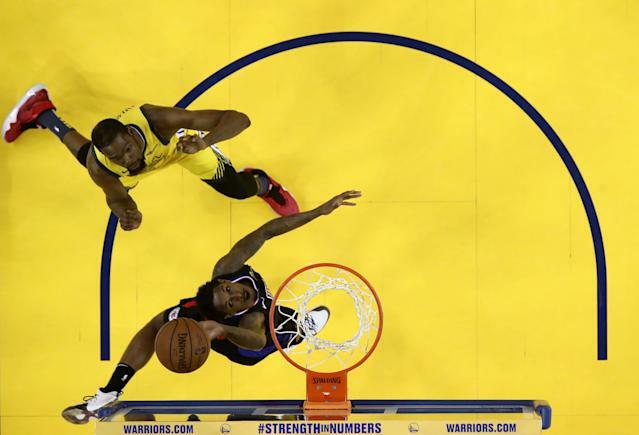 Many fans may have changed the channel in the third quarter of the Los Angeles Clippers game against Golden State Warriors last night, but they’d have missed out on one of the greatest comebacks in NBA history as the Warriors watched a 31-point gap evaporate, eventually losing the game 135-131. Putting on an impressive display in defence along with 36 points courtesy of shooting guard Lou Williams, the Clippers’ recovery beats the 29-point margin the Los Angeles Lakers overhauled against the Seattle Supersonics in 1989. It means the Western Conference is now tied at a game a piece. The Clippers are a surprise package, having traded their best player, Tobias Harris on the deadline to hit salary cap targets, but their dogged determination has kept them in the hunt. Houston Rockets castoffs Patrick Beverley, Montrezl Harrell and Lou Williams were relentless for the Clippers on Monday, outworking the Warriors’ superstar-laden squad at every turn. Beverley looking for every opportunity to niggle at Kevin Durant until they both fouled out. 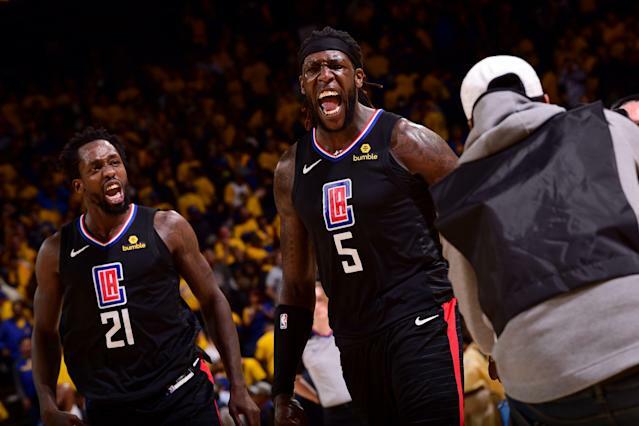 The Clips’ All-Defensive-caliber guard embodied the never-say-die attitude that inspired the greatest comeback in NBA playoff history. It appeared as though Golden State would get a chance to rest their four remaining healthy All-Star starters (DeMarcus Cousins suffered “a significant quad injury” in the first half). The champions looked like they had found a way to break down their opponents as the game headed into its final act. Even as Golden State’s lead dwindled into the single digits, it always seemed like the Warriors would ward off the comeback. So, when L.A. cut the lead to 125-123 with 3:49 left, Durant drove for another dunk and the foul, pushing it back to two possessions. And when Williams tied it, 128-128, Stephen Curry answered with a 3-pointer that took the lead back in the final minute. 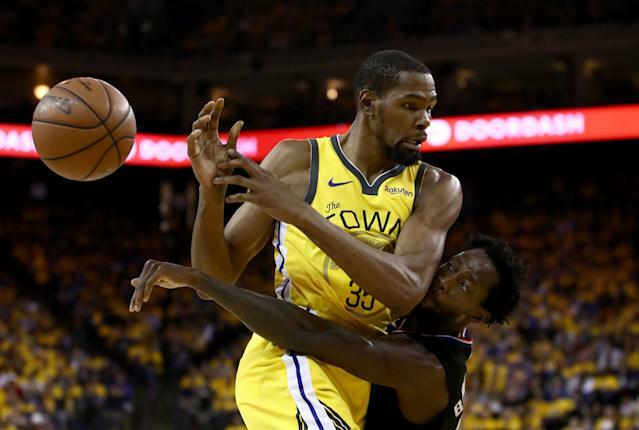 But Williams cut it to one with another of so many fadeaways, and the two rookies — Shai Gilgeous-Alexander and Landry Shamet — found one another on a 3-pointer that finally tilted the score in the Clippers’ favour, at 133-131 with 15.9 seconds left. Curry went for the win, and when his 27-foot attempt went wide, Harrell sunk his two ensuing free throws to seal as stunning a victory as you will ever see in the NBA. “I can’t help him being irritated by me,” he added of defending Durant. The Clips outscored the Warriors 72-37 over the final 19:31, shooting 27-of-39 from the field (69.2 percent). This series may well end in a five-game win for the Warriors, but this 31-point comeback will live forever.